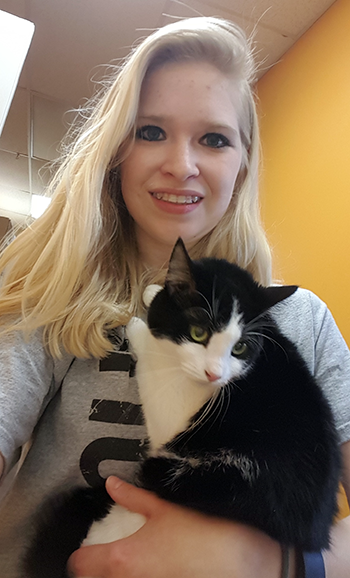 Members of Cowley College’s Phi Theta Kappa organization recently completed Service Week by volunteering at the Cowley County Humane Society. Officers decided earlier this year that the group should do a service project, and after discussing different ideas, they wanted to contribute to the community’s need to assist animals. They picked the third week in April to be designated Service Week and encouraged members to help. 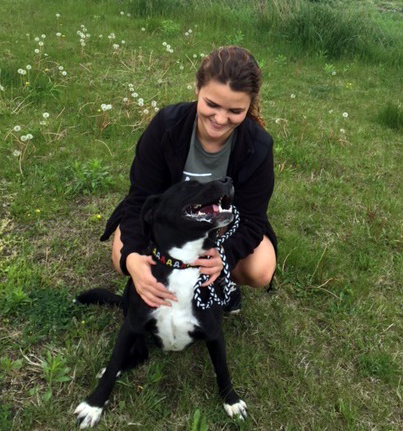 All who participated were required to attend a group training session at the animal shelter on Thursday, April 7, and then individual training later in the month. The goal was to have at least one student go out for at least one hour every day during Service Week. The members who participated found the experience worthwhile. “It was fun seeing how excited they [the dogs] were, so I tried to walk as many as I could,” Kyndal Dutton said. Students walked and played with dogs, handled cats, fed animals and cleaned crates. In addition, members donated blankets, paper towels, dog toys and food for the event.